We recently completed a training project for a banking client, which focused on virtual collaboration across cultures. As part of the program, we filmed a series of virtual meetings that highlighted both common mistakes and best practices for effective virtual meetings across distance, culture and time. These videos were used in conjunction with a customised training program that formed the foundation for the learning. We facilitated a Train The Trainer (TTT) program for staff trainers from the various hub countries to enable them to deliver this training on location to their own staff. One of the participants in the TTT program said to me at one point, “Surely, this is all common sense, isn’t it?” I responded by saying that, “It might be common sense, but it certainly was not common practice!” The banking organization had undertaken research which demonstrated that their internal virtual meetings were less then effective, and hence the development of our training program. Instead of providing some tips and techniques from this particular TTT training, I thought I would share a quick guide that another client, in technology leasing, displays in all their meeting rooms. 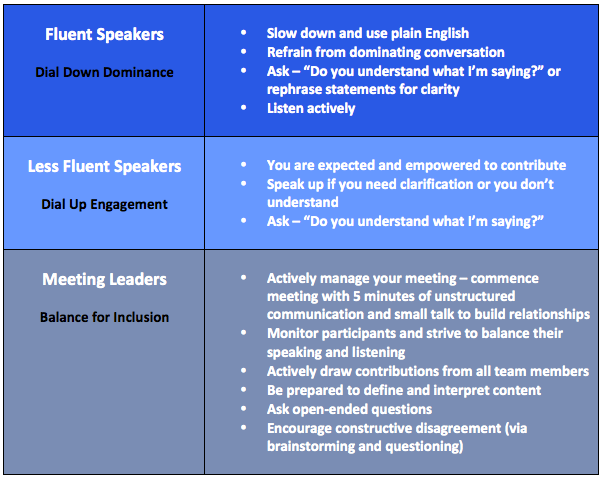 They have found that putting these “common sense” tips into regular practice has made their meetings far more effective. A retired four-star general, Stanley McChrystal is the former commander of US and International Security Assistance Forces Afghanistan and the former commander of the nation’s premier military counter-terrorism force, Joint Special Operations Command (JSOC). 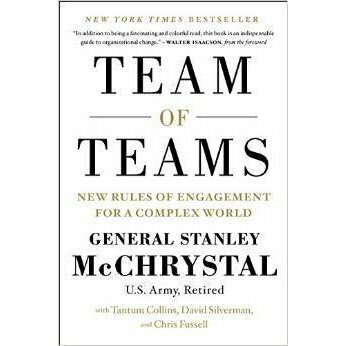 In Team of Teams: New Rules of Engagement for a Complex World, McChrystal draws upon his wealth of military experience to present an insightful guide on leadership and management in an ever-increasingly complex world. In today’s interconnected environment, unprecedented amounts of data, a rapid rate of change and a thriving entrepreneurial spirit are all coming together to push up against the principles of classical leadership. McChrystal posits that for our leaders, this means a shift in focus. Leaders must get used to the idea of embracing the unknown and how modern technology can be leveraged to transform your organisation into a unified and effective “team of teams”. If you enjoyed Stanley McChrystal’s book or are interested in learning more about the author, we recommend checking out the podcast interview he did on The Tim Ferriss Show found here.